Grace Covenant Presbyterian is a congregation of the Presbyterian Church (U.S.A.). The PCUSA includes over 10,000 congregations and worshipping communities across the country. We believe in strong engagement in our communities and in the larger world. We believe that God’s wisdom is most robust when we share our gifts and our power with each other. 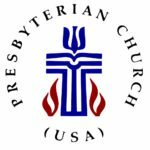 PCUSA congregations trace our history back to the Reformation and to theologies that call all believers to be priests of one another and to lean first and foremost into the grace of God. Presbyterians govern our churches through the leadership of elders (rather than bishops or a congregational model). The church is governed in a system shared by those called to be ministers (Teaching Elders) and church members called to be elders within the congregation (Ruling Elders). France, Switzerland, and Scotland are where much of our theological heritage was born. We celebrate the sacrament of Communion once a month and on other important days in the church year. All are welcome at our Table. We baptize people of all ages, but encourage infant baptism because our theology teaches us that we are embraced and defined by God’s grace before any action or decision on our part. (Click here for more info about Communion and baptism).